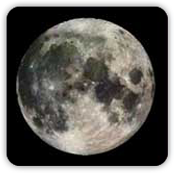 Friday, April 19, 7:12 am - EDST, is the FULL MOON exact day and time in APRIL! Don’t miss this chance to become aware of any underlying frustrations you feel in your relationships. Often, when they see this gap, they become upset. The reflection from their environment shows them a realistic view of their relationships. The feeling of powerlessness comes from awareness of the discrepancy between the way you would like things to be, and the way they actually are. The empowerment is that, once aware, you have the chance to change things successfully. Because this FULL MOON occurs in the sign of LIBRA, you will be feeling a need for balance in your life. You may become extra aware of anything that impedes harmonious interactions and a peaceful environment. During the three days around this Full Moon, your relationships with a spouse, significant other, friend, family member, or business associate may be a focus. You may experience discord within an important relationship in order to practice your communication skills and learn how to negotiate peacefully on your own behalf. Employ patience and compassion, as the Full Moon can elevate everyone’s emotional sensitivity. This is a powerful time (4/18 - 4/20) for reevaluating the new beginnings you made during the New Moon earlier this month. Re-read your wish list and notice how where you are now is either closer to--or further away from--the dreams in your heart that you would like to manifest in your life. Given that this Full Moon is in the sign of LIBRA--opposing the Sun in ARIES--skills of diplomacy will be key. People will be feeling a desire to keep harmony above everything else. However, if their sense of justice is disturbed, an angry response is definitely a possibility. There can be an impatience triggered if they feel you haven’t been “fair” with them, and even an unexpected outburst. Should this occur, calmly describe how the situation has been fair for everyone involved. If, in fact, you discover unfair circumstances, it will be great timing to even the scales. These times are in Eastern Daylight Savings Time (EDST) and need to be converted to your local time zone. Keep in mind that if you are not observing Daylight Savings Time, subtract one hour, and then convert to your time zone. The Moon Box on the Homepage of this site (upper right corner) will tell you how many hours difference your location is from the Eastern Time Zone in the US. For more FULL MOON insights for APRIL and tips for using the monthly NEW MOON as a powerful boost for manifesting the dreams in your heart, click here. Members can login and select the “New Moon Power Days” icon from the Membership Menu. To learn more about the benefits of Membership at $4.95/month, click here. For the complete “Rules of the Road” for wishing under the New Moon, as well as sample wishes demonstrating the most potent way of wording your wishes, consult Jan Spiller’s book, NEW MOON ASTROLOGY: The Secret of Astrological Timing to Make All Your Dreams Come True. Member's of this site have access to all New Moon articles and exact times for wishing during each New Moon! Be sure to check out your Monthly Horoscope to learn how the April 2019 New Moon impacts your personal astrological sign.